By sending HTTP request to a particular URL and then by extracting HTML of that web page for getting useful information is known as crawling or web scraping. 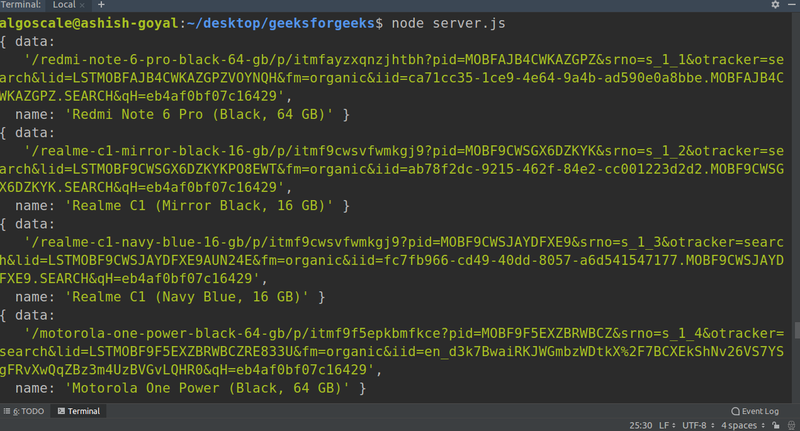 The easiest way to install modules in Nodejs is using NPM. Globally Installation: If we install any module globally then we can use it anywhere in our system. Locally Installation: If we install any module locally then we can use it only within that particular project directory. which contains all information about the modules, author, github repository and its versions as well. Here in this screenshot we can see all our dependencies have been listed within the dependencies object, It implies we have successfully installed all of them in our current project directory. Here in these three lines, we are importing all these three modules, required for crawling and data saving into a file. 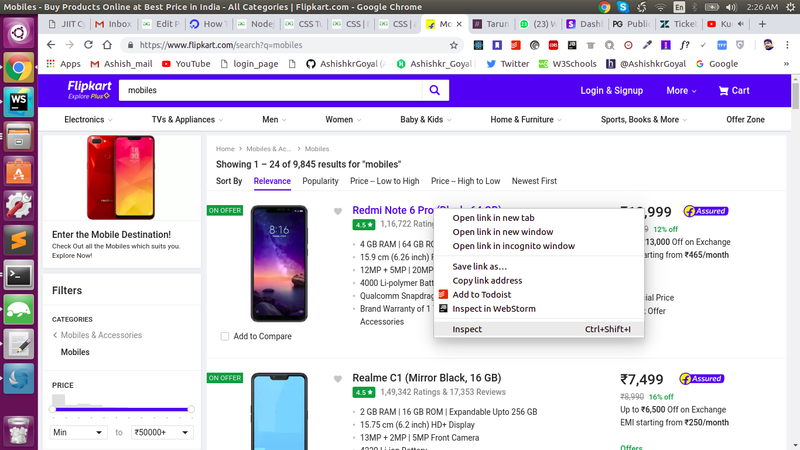 Here we are going to crawl the list of smartphones from an e-commerce website Flipkart. 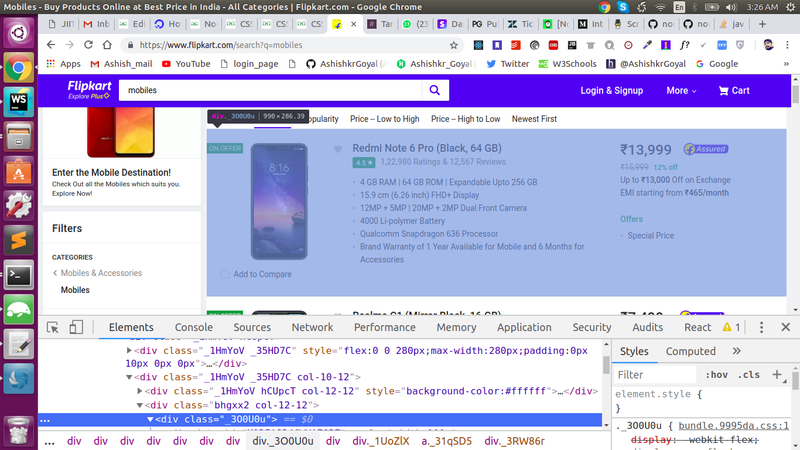 Here we are using request module to send the HTTP request to the flipkart’s URL of smartphones, and the function within the request module takes three parameters error, response, body respectively. Here if error comes then we log it otherwise we log the body. we can see the whole HTML of the page in our console. It is the complete HTML of the web page for this URL. Now our task is to extract the useful imformation so we will visit the DOM tree and find out the selectors by inspecting element. At last we will write the whole array into the file. by this method our complete data will be saved in the file successfully! After successfully running the code, there is a file named data.txt also which has all the data extracted! we can find this file in our project directory. 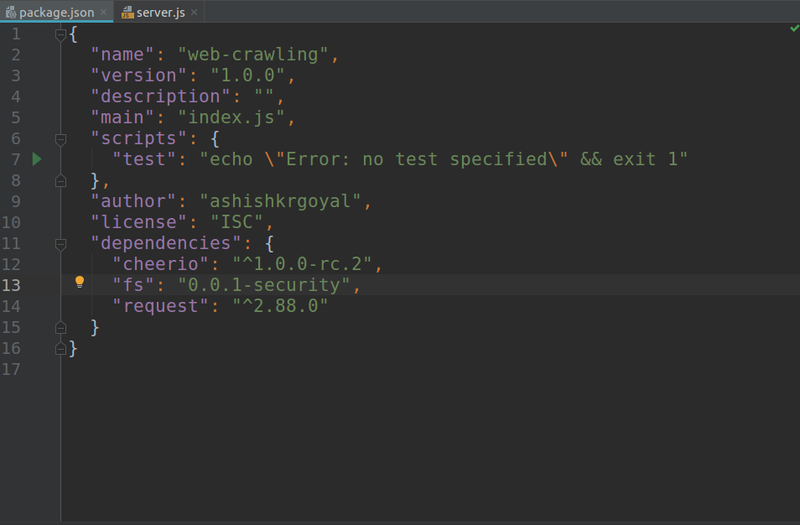 So, it is a simple example of how to create a web scraper in nodejs using cheerio module. From here, you can try to scrap any other website of your choice. In case of any queries, post them below in comments section.